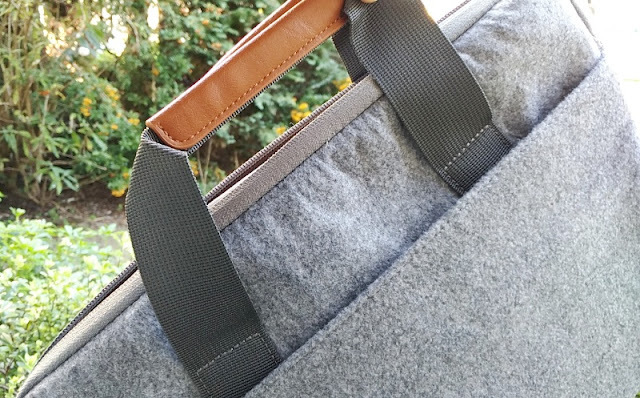 When you need to transport your laptop discreetly, securely and smartly, you want a slimline, lightweight and compact laptop sleeve solution such as the Inateck laptop sleeve briefcase which doubles as a briefcase bag. 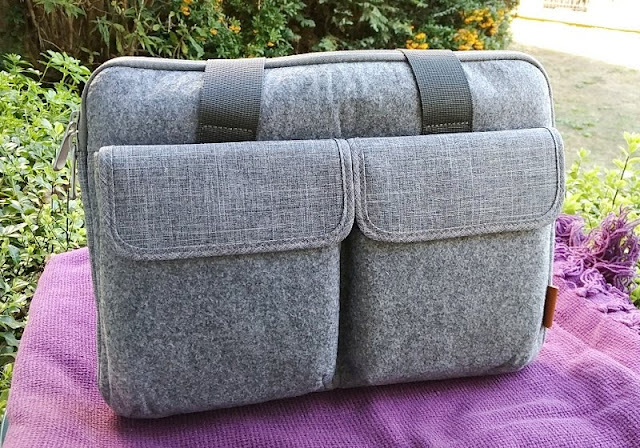 Laptop sleeve briefcases are neat because you get best of both worlds and that is a slim but padded laptop sleeve with handle straps that isn't bulky to carry around all day. 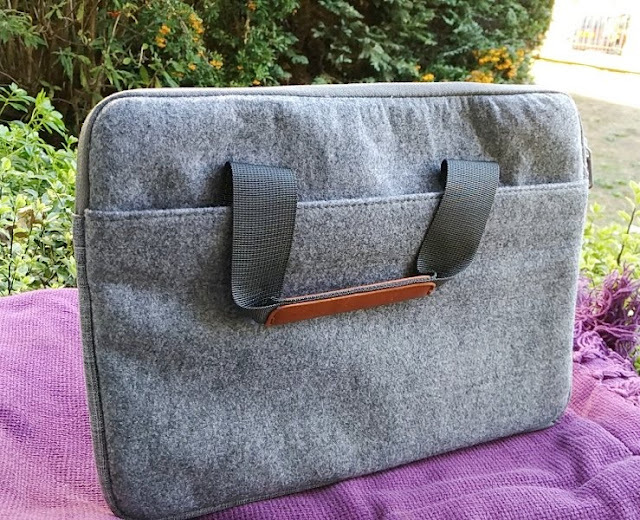 The Inateck 15-inch laptop sleeve briefcase is smart looking and compact - exactly what you need for professional work or going to university. 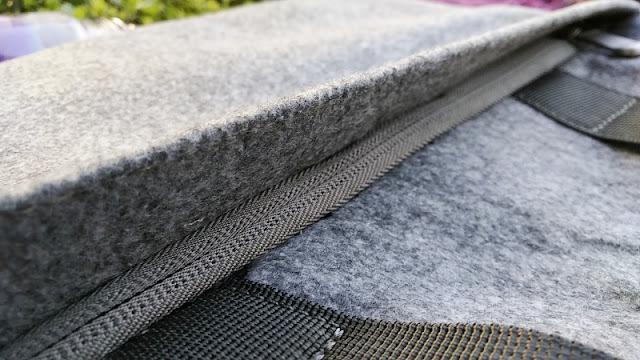 The materials used in the making of this laptop sleeve briefcase include felt, polyester, flock lining, aluminum and brown leather. 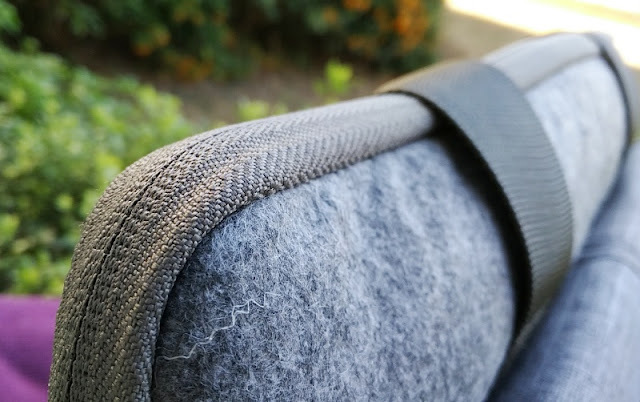 The outer exterior material of the Inateck 15-inch laptop sleeve briefcase is made mostly of felted fabric; hence its fuzzy, woolly look. 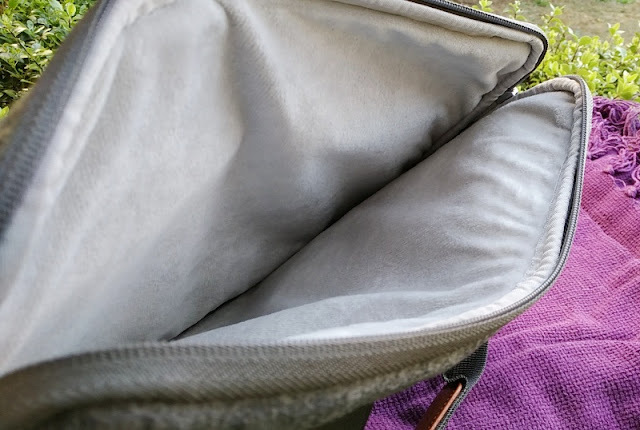 But it also incorporates hard wearing polyester on the front pockets and rim of the sleeve. 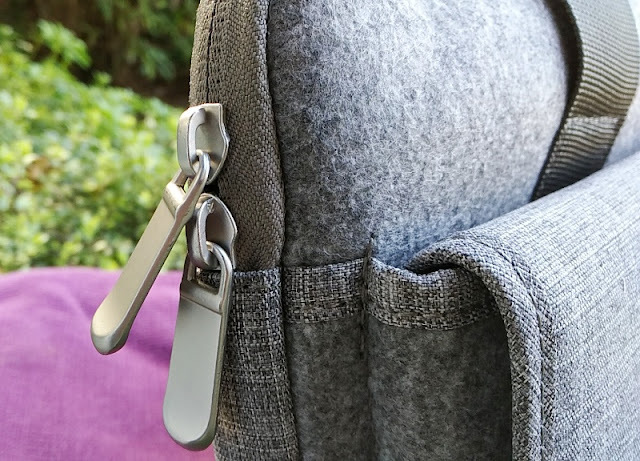 While felt material is not waterproof or water resistant, the laptop compartment and outer zipper pocket have invisible zipper seams with aluminum zipper pull tags. 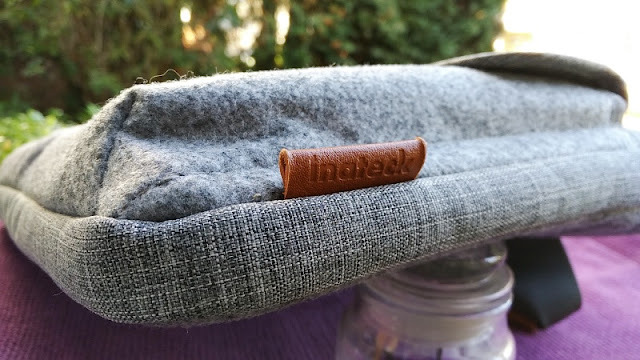 Leather accents can be found on the handle straps and the small Inateck logo on the side of the sleeve. 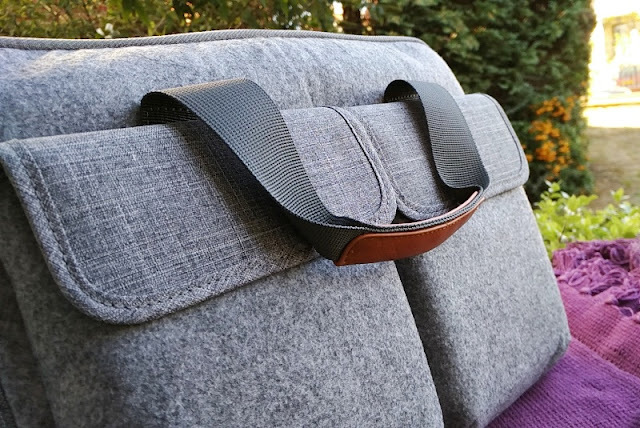 Total weight of the Inateck felt laptop sleeve briefcase is 460 grams, measuring externally 16.5 inches long, 13.7 inches wide and 2.3 inches thick. 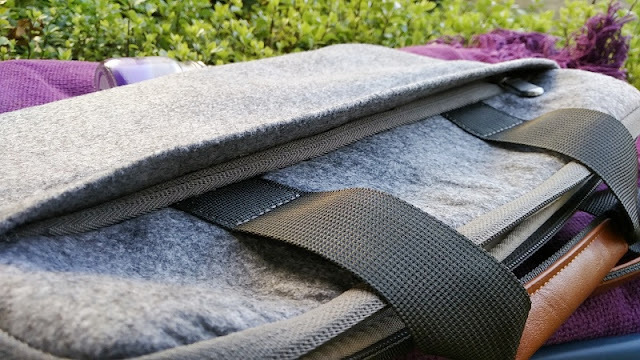 The internal dimensions of the Inateck 15-inch laptop sleeve briefcase are 15.1 inches long, 11.1 inches wide and 1.29 inches thick which are the perfect dimensions to fit most 15.6-inch laptops snugly. 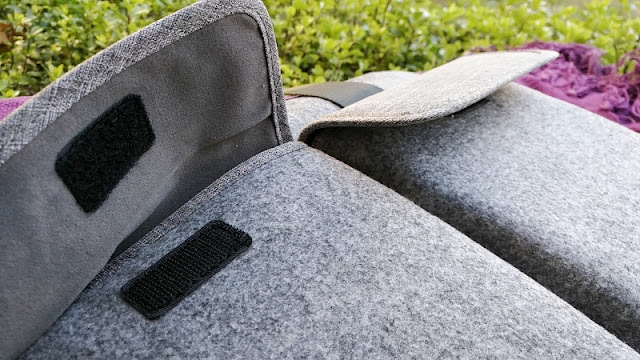 You can fit the Dell Inspiron 15, the HP OMEN 15 Pro, the HP Pavilion 15 and the HP Probook. 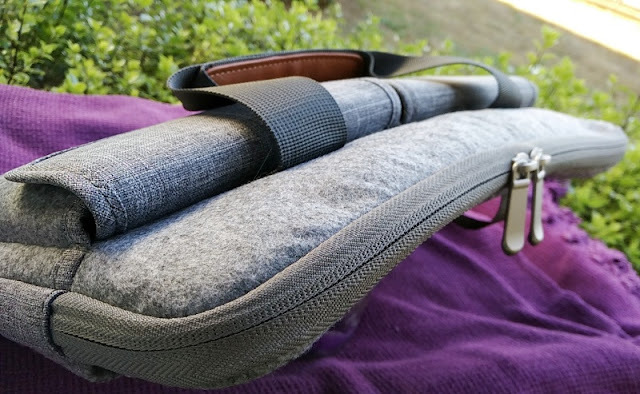 If you plan to use it for a 15-inch MacBook Pro laptop the fit is tight. 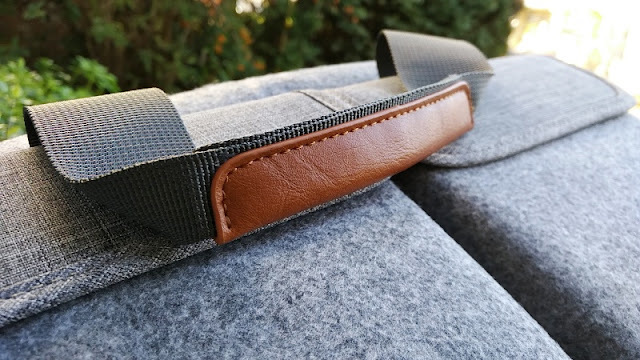 There are also three extra pocket compartments; two of those pockets are square velcro pockets on the front of the sleeve briefcase big enough for a charger and charging cables. 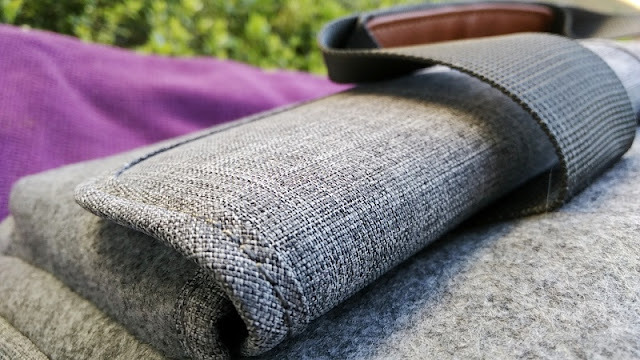 Both the laptop compartment and outer pockets in the Inateck laptop sleeve briefcase have a flock lining similar in texture to the cotton flock lining in some nitrile gloves.